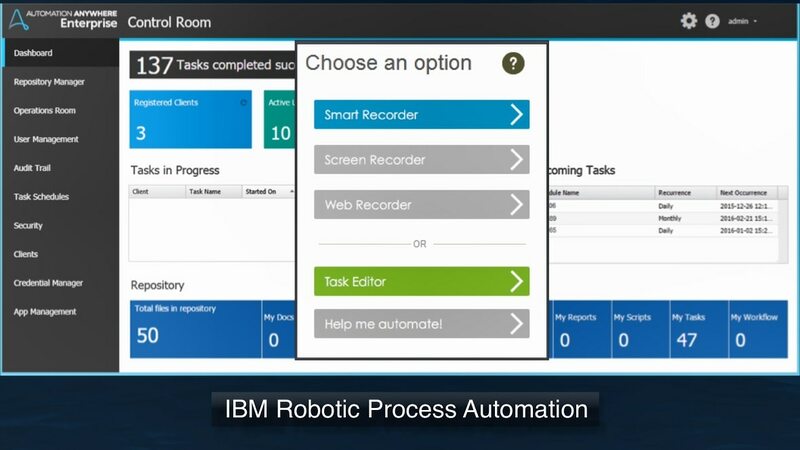 IBM® Robotic Process Automation (RPA) with Automation Anywhere is an easy and affordable way to automate the highly repetitive tasks that many employees perform, often at the expense of creative problem-solving and customer-centric work. IBM RPA with Automation Anywhere is available in two sizes, Express and Enterprise lets you choose the right amount of RPA for your needs. Both editions come pre-integrated with additional IBM automation capabilities, such as workflow management, real-time decision making and data capture, extending the ROI and scalability potential of standalone RPA.